Apps for math can help to learn more and are fun and engaging for children. A math education app can also help develop math skills using a simple approach and in a fun way. There are various ways to teach math techniques to kids so that they can solve math problems easily and faster. 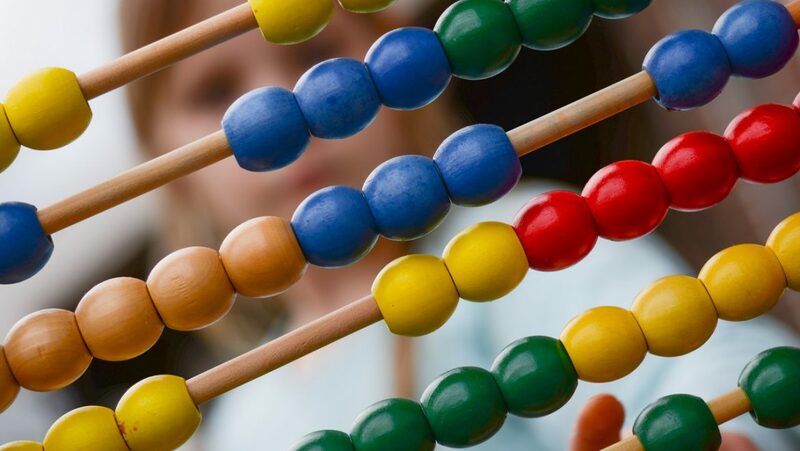 Instead of becoming dependent on calculators, children can learn other strategies that will make them improve their math skills and have number sense. A math education can help test the accuracy and speed of a child when it comes to basic math apps such as addition, subtraction, multiplication, and division. Parents must provide only age-appropriate apps so that the contents will match the physical and mental abilities of a child and will promote learning. How can math apps help children? 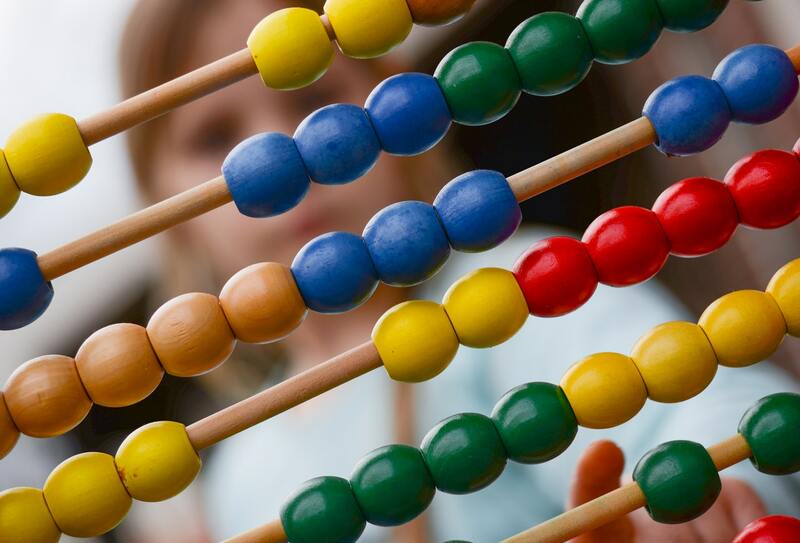 There are many ways by which math apps can help preschoolers and kindergarteners. For starters, math apps can develop a kid’s liking towards math. Learning math is an important thing. Hence, kids must find math concepts appealing and engaging and the only way to do this is to have a good and interesting app. Fun apps let children practice math more. As a result, they master the basic math concepts that can, in turn, make them develop speed and mastery. Math apps can also recommend techniques that can help children better understand many concepts in math such as counting. Aside from building and developing a kid’s sense of numbers, the techniques and strategies can also improve a child’s concentration that can help him solve math problems faster. For kids who are not fans of math, educational math apps can sharpen their skills because they are playing math games without realizing it. These learning apps are adaptive to the user wherein the difficulty levels can be adjusted depending on the child’s requirements and abilities. While there are educators who are not very open to the use of math apps, there are supporters who prove that there are benefits in using these apps for early learning. The increasing helpfulness of mobile apps benefits both students and teachers. Here are some apps that you can choose from. This is a good app for students to practice and improve skills in basic math. This app offers an interface wherein there’s a chalkboard to practice math. Kids can learn basic math with regard to addition, subtraction, multiplication, and division. There are two modes of math practice namely answer mode and flashcard mode. Answer mode is where you have to enter the answers and receive feedback. The flashcard mode is where verbal answers are allowed. This is a free math app that has an easy-to-use interface for kids. The characters in the game help kids improve and expand their knowledge and skills in math. There are a total of 12 levels wherein there are 7 levels for addition and 5 levels for multiplication. The chef on the counter places the sushi plates and the player must make the right combination of the numbers that are on the plate. When the combination is right, the monster eats the sushi. This app uses storytelling to help children develop math skills. It has a very interactive interface that is composed of three different levels to help kids learn addition, subtraction, multiplication, and division. Aside from the basic math skills, there are also addition subtraction and multiplication equations. The app has a pirate theme and has fun background music that includes cannonballs firing. These will surely help kids learn math faster and get them hooked on learning for a longer time. This is a research-based system of math learning for 2 years old to 8 years old. Reflex offers an adaptive learning atmosphere by catering to the different ability levels of kids. This is an intuitive app that offers math problems in line with the skill of the user. This is another fun app with ocean animals. Kids can get a head start on addition, subtraction, shapes, and matching. Preschoolers and kindergarteners can learn up to 5 and then later on up to 10 so that they won’t feel overwhelmed by so many numbers. Basic math operations include pictures for addition and subtraction. 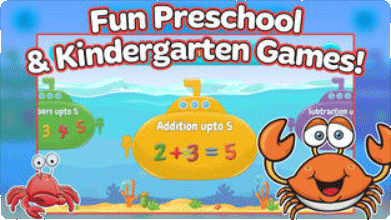 For early learning counting, there are cute ocean animals that can be tapped. There are also basic shapes such as circle, square, triangle, and oval. 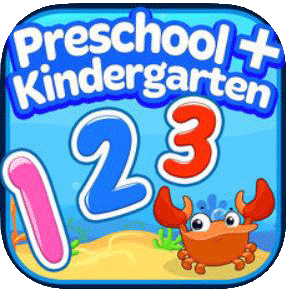 This app makes learning fun and engaging and children can practice addition, counting, geometry, subtraction, and sorting. This app is made of funny characters called Dust Funnies. They help kids master different types of math problems. When you pass one stage, another one comes up with a different set of problems. This animated math game encourages kids to learn more about math. There are 6 interesting math games such as pattern recognition, puzzle, shape and color recognition, and counting. Children can explore the user-friendly app that has different interesting features. For every correct answer, the kids get cartoon stickers and this can keep them engaged in the game. Enhance and develop a child’s counting skills with this app. This has a colorful interface that lets kids explore nature and learn basic counting. For every correct answer, the caterpillar moves a step closer to becoming a butterfly. Education with the use of play method can be a good approach that parents and educators can adapt in order to promote a child’s skill in math. The technology that we have today is useful especially when utilized the right way. The smartphones and tablets of today have many interactive apps that can make learning fun, and easier to understand. The apps focus on new concepts that let the kids advance and master in preparation for more complex math problems. As long as there are constant practice and supervision, a child’s math skills can be improved through time. Children might even develop a liking for math. However, it is important to establish a good foundation first.